The Innovation Hub is Open! 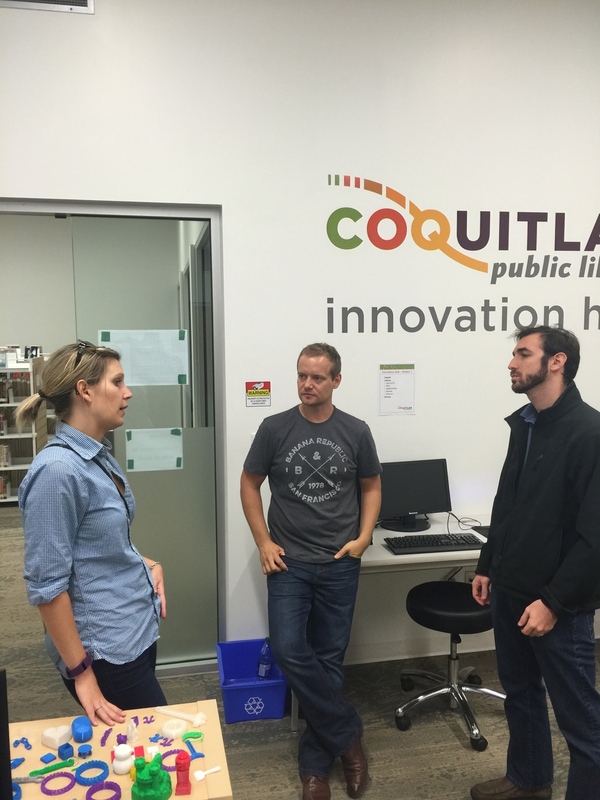 The Coquitlam Public Library & TriCelerate launched the Innovation Hub. If your a startup and need space Visit us at the Coquitlam Public Library today or contact us. Located in the heart of the Coquitlam Public Library at 1169 Pinetree Way, Coquitlam BC. The Innovation is setup with resources such as computers, 3D Printers, Desks for the budding entrepreneur to use. Interested in holding a team meeting at our hub? Need mentorship for a specific business issue? Fundraising, Product Market Fit, Hiring? Contact us today. You will be able up to sign to talk to a mentor about your business problems. Our mentors know (almost) everything Whether it’s growth, design, or even bitcoin, you’ll find a mentor who can help. Contact us to setup a meeting with one of our Entrepreneurs In Residence ("E.I.R") program. Tricelerate believes knowledge is power. In a world where time matters more and more, the Tricelerate team has begun to compile a list of invaluable resources for local entrepreneurs to tap into. We will be updating this section regularly so visit us weekly for new information or sign up to The Most Important Startup Newsletter you'll ever join. Join your 1200+ fellow Tri-City citizens and sign up here.